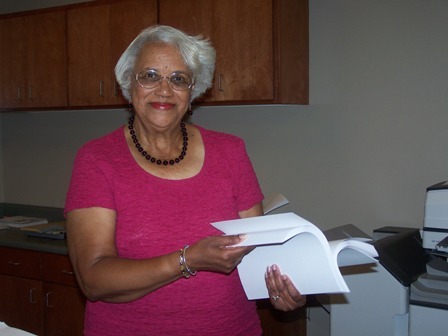 Avoiding Common Copier Problems | Duplicating Systems Inc.
You’ve just got to love Barbara Seigler, church secretary of Beulah Grove Baptist Church in Augusta. She’s warm, outgoing, and efficient. She is also a master at using her church’s 5 multi-function printers. Here are a few tips from Barbara Seigler on common problems you may encounter when using your multi-function printer. “Paper condition is number one”, she says. “If the paper is not good and flat, there is going to be trouble when it goes through the machine.” Curled corners will surely jam in the machine, so she won’t hesitate to throw away curled sheets. Lastly, she also recommends that you fan a brand new ream before inserting it into the machine to relieve static cling. Copiers today can run a wide variety of paper, but only if the machine is programmed correctly. Program your printer for the correct paper and the printer will adjust many of it’s settings, mainly paper feed to help reduce jams and heat to provide the best quality for the stock provided. Don’t leave the scanner lid upright! Don’t use wet Wite-Out or ink on the scanner! If the scanner doesn’t print out the number of copies you wanted, then your probably out of paper! You know what drives Barbara crazy? Leaving the lid upright. “When the lid is raised, dust gets on the glass and put spots and lines on your paper.” Along with dust, Wite-Out is another problem causer for the scanner. When someone does not wait for the correction fluid to dry before making copies, the liquid sticks to the glass and causes smearing. “If I see lines, smudges, or dots on a copy, it is because the glass on the scanner is dirty and needs to be cleaned” say Barbara. Window cleaner and a soft cloth is good for cleaning a scanner glass. Another pet peeve of Barbara’s is someone grabbing the copies and running without realizing that they have left the job unfinished because of running out of paper. The next person endures copies of the previous job before getting to the new job. The sample copy button can save lots of headaches later. You can check your document BEFORE printing all the copies. Newer printers have a function called “Sample Copy”. The Sample Copy function allows you to print a single copy from a printing job, so that you can analyze it for errors. Rather than potentially printing out dozens or hundreds of copies with an error, you can just print out one and correct the problem.